At 1.30 am on Thursday 17th of September Pablo Criado Toca finishes for the second time this month the Tor des Geants! Just after his last project, Sulle vette dei Geants, the great Pablo managed to finish the official race. It was just a few weeks back that he left on the 9th of August from Courmayeur to return on the 18th, after climbing Cervino, Monte Rosa, Gran Paradiso and Mont Blanc. 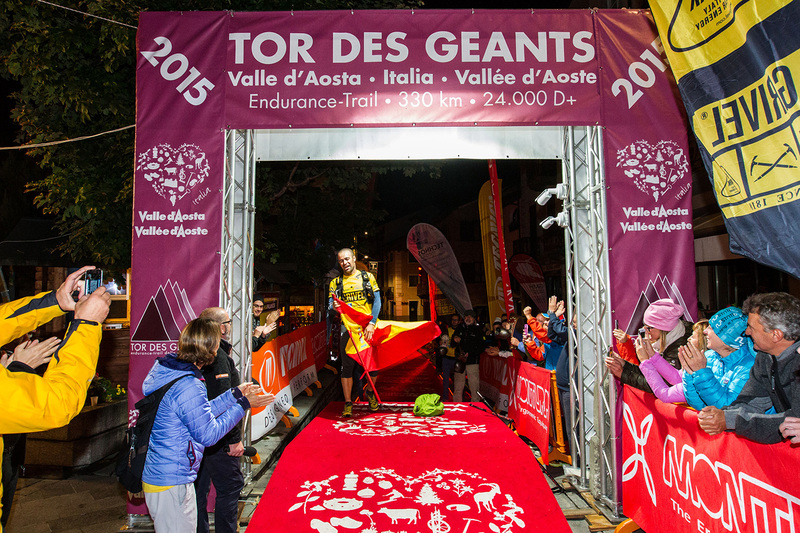 Not satisfied by this challenge he decided to race in the Tor des Geants, ending in 6th position and facing such severe adverse weather conditions that after him the race was stopped by the organisation.